Besides ensuring that I actually get to grow this pineapple-smelling plant (doesn't taste like pineapple though), buying as early as possible allows me to take some cuttings and make some additional plants. If it's a plant that I really love, I want to have as many of them around as possible as an "insurance policy". If a racoon decides he wants to sit on the plant, or knock it down the deck stairs, or if a deer decides to eat it, I want to have backups ready. 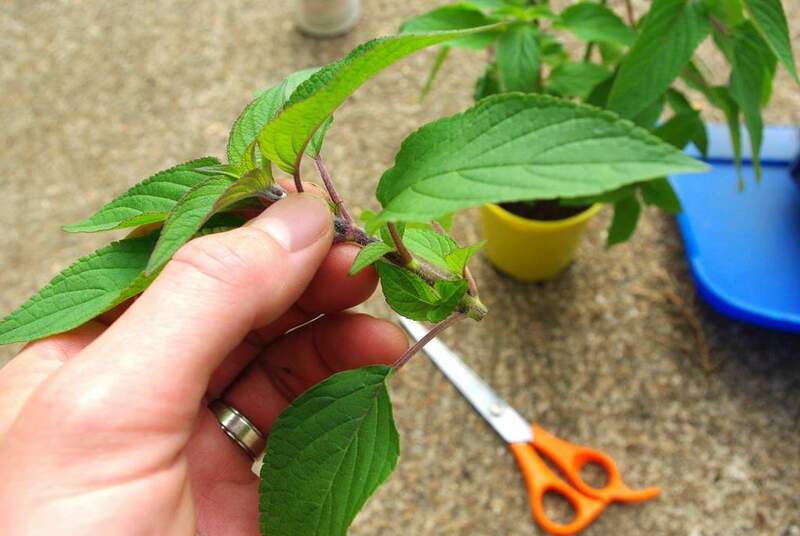 The first step is to take some cuttings. 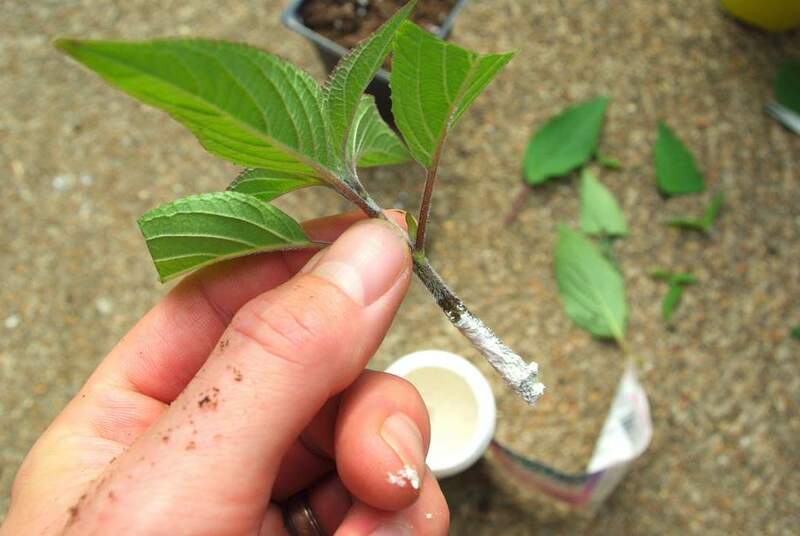 The pineapple sage is really easy to propagate from cuttings, and the mother plant will end up being fuller and bushier when it grows back. I guess I'd probably prune the plant even if I wasn't going to keep the cuttings -- bushier is better! After cutting I'll remove all but a couple sets of leaves, and will even cut the lowest leaves in half. The idea is to reduce the leaf surface area as much as possible to minimize moisture loss. A dip in some water, then some rooting hormone powder, then into the potting mix they go. 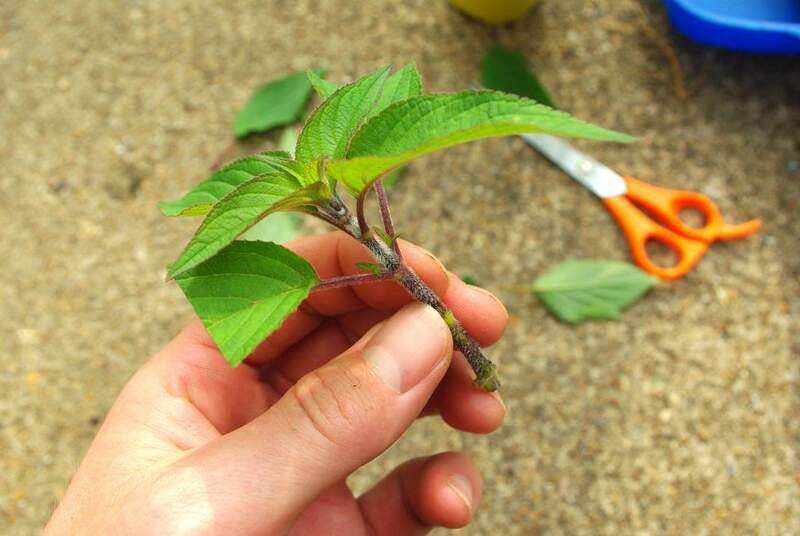 I make a small hole with a stick first, insert the stem, then pinch the soil around the stem while pressing down. It is essential to have good stem-to-soil contact or rooting won't occur. A little water, and a new pot for the mother plant, and it's job done! 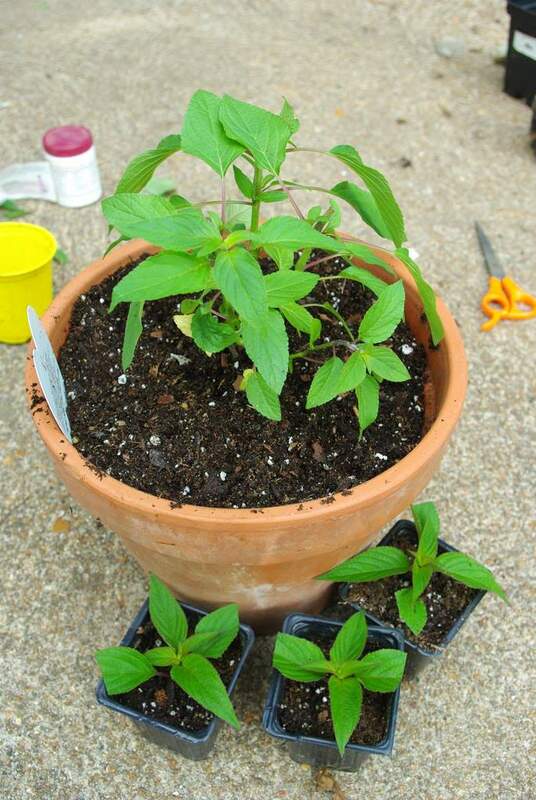 The cuttings will go in a closed plastic storage container (to keep humidity high) in a bright but not too hot place. I'll check them in about a week to see if there's any indication of new growth, or roots coming out of the bottom holes. I probably won't see much in a week, but after 2 weeks they should be ready to leave the container. I really like this photo, but it doesn't really show off the plant very well, does it? I'll definitely have some photos of these to share with you later in the summer. 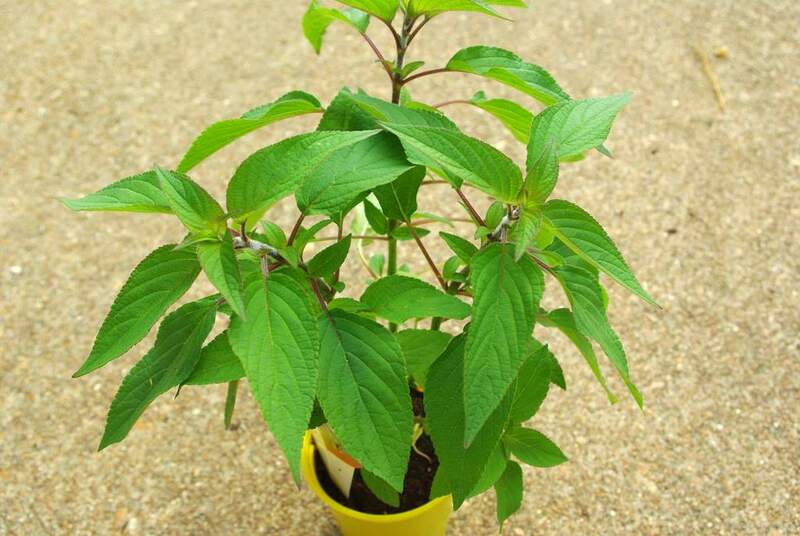 I love this plant too and have had one for several years. I.m taking cuttings for the first time. I live in the south of England. Thank you for the info. 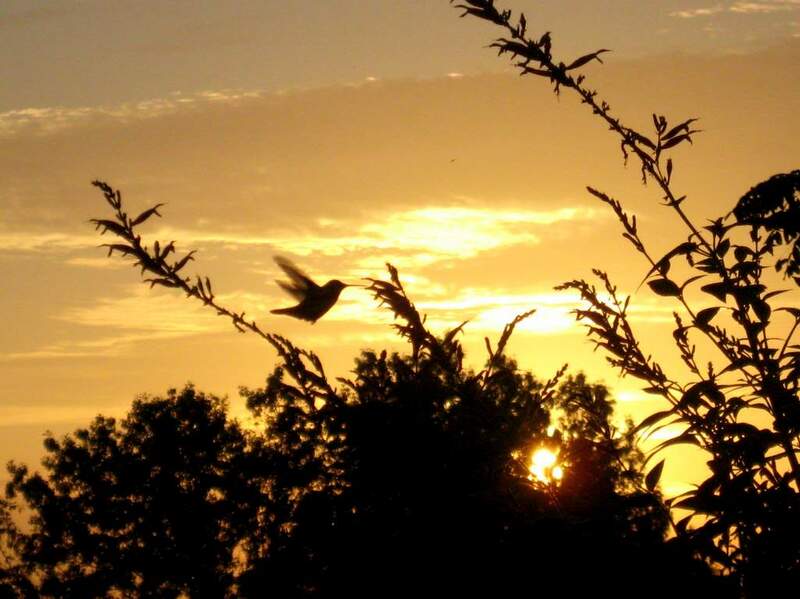 i like this photo too, such beautiful hummingbird! I have a pineapple sage but not blooming yet.